The inconceivable is conceivable: After a few crazy months, drones are among the worries on the FBI's radar ahead of the Super Bowl in Atlanta. AP: "The sky above the stadium that will host Sunday’s Super Bowl is being 'inundated' with an alarming number of drones, raising the specter of injuries to tourists or others — or a possible collision with aircraft, the FBI said." Why it matters: As we've seen at airports like Gatwick and Newark, even reports of drones can stretch law enforcement thin and inject fresh peril into already-fraught situations. Imagine the nightmare if they have to delay or pause the Super Bowl because of some idiot with a drone. “[W]e have no idea if [a drone in the air is] friendly, or if it’s someone who has nefarious plans and it’s weaponized," FBI spokesman Kevin Rowson told the AP. “A drone impact with a fixed-wing aircraft or a helicopter would be catastrophic,” said FBI Special Agent John Cronier. 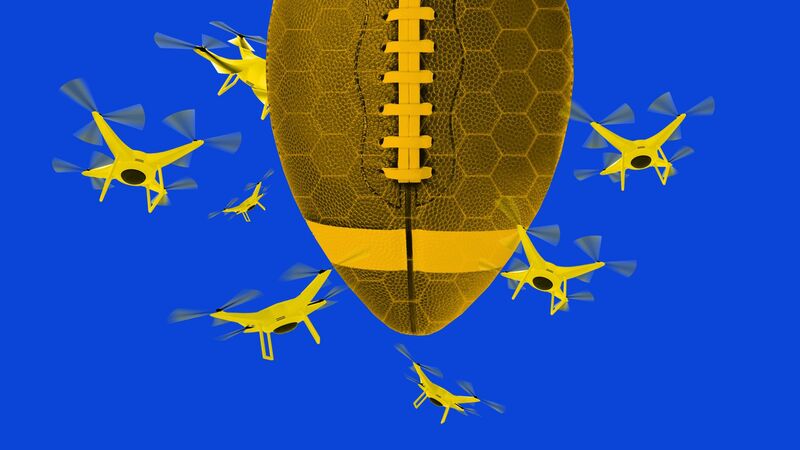 Be smart: Don't fly drones over the Super Bowl. A page from Virginia Democratic Gov. Ralph Northam’s 1984 medical school yearbook, published this afternoon by The Virginian-Pilot, shows people wearing blackface and Ku Klux Klan attire. Details. Boom: The economy added 304,000 jobs in January — significantly more than the 170,000 economists were expecting —while the unemployment rate ticked higher to 4.0% from 3.9%. Go deeper. The U.S. is pulling out of the landmark Intermediate-Range Nuclear Forces (INF) treaty, signed in 1987. Go deeper. Vice Media is laying off 10% of its workforce, according to The Hollywood Reporter. Roughly 250 jobs will be cut across all department and job levels. Sen. Elizabeth Warren has apologized to the Cherokee Nation for her controversial decision to take a DNA test to prove her Native American ancestry, The Intercept reports. "A new Super Bowl commercial aims to calm frenzied football fans with oddly relaxing images of actress Zoe Kravitz whispering into a pair of microphones and softly tapping on a bottle," the AP notes. "The beer ad already has drawn more than 10 million views and stands to expose a vast audience to an internet craze known as ASMR, or autonomous sensory meridian response." Watch (sound on) the ad.